What a great and valuable experience! Moreover, the course illustrates so many practical applications for blockchain that I would recommend it to people of all industries! Data scientist turned educator. 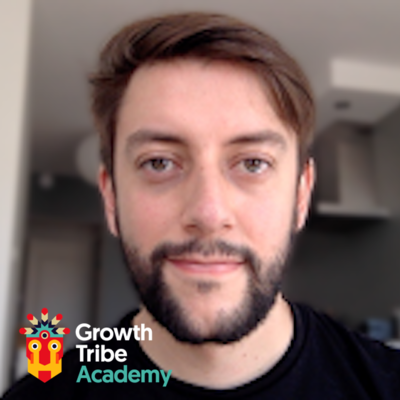 I've focused on online marketing and growth for the past two years, and now I teach people and companies how to leverage their data with a growth hacking mindset of rapid experimentation. I also like learning new things, gaming, and animals. 9.5 Based on 4 reviews. The AI for Marketing Course was incredible and everything I had hoped for! As a general manager it is crucial for me to understand and correctly manage our business inteligence teams within our marketing department, as well as our innovation and growth department. Machine learning and prediction modelling are topics that can no longer be ignored, as it is valuable for almost any industry in the present day. Growth Tribe‘s campus offers a great environment to learn and be coached by top-notch trainers in this field. Would highly recommend! I was elected to follow the beta course as I already followed the A.I. course they offer. While I was not known with any Blockchain content (excluding daily news articles), this course helped me to understand it's application for business purposes. I've to admit, it's still a challenge in how I can optimally benefit from it with my own company. 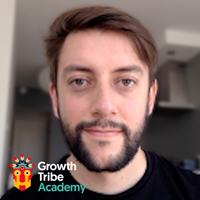 However, I am convinced that this will become more clear over the coming period when I give it some more thought..
Just finished the 6-week evening course at Growth Tribe and I can honestly say that I learned a lot. They also offer a two-day crash course, though if you want (just like me) apply the knowledge from the beginning and share the obstacles you're running into at work with the lecturers, than the 6 week duration is ideal.